Paramount’s main product is crushed volcanic rock which we label “Volcanite.” It is highly mineralized, containing 32 essential minerals and trace elements. 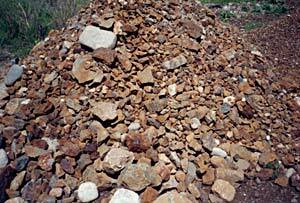 The source of this material is derived from an extinct volcano in Western Canada. The most fertile soil composition known to man, found at the base of volcanoes, has allowed agriculture to flourish and civilizations to exist around the world. The reason for this is the release of magma from volcanic eruptions that contain the rich source of minerals essential for healthy plant growth and life on earth. What makes Paramount’s product base so unique is that it comes from a rare source. Extraction from other volcanic sites in North America is prohibited. These sites are legislated as Provincial, State or Federal Park status. 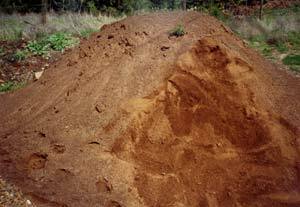 Our product acts as a soil supplement, a very effective soil conditioner and growth stimulant. It is completely natural, containing electromagnetic energy (paramagnetic) that also repels insects in both agriculture and horticulture. It has many additional features and benefits referred to in our product brochure. 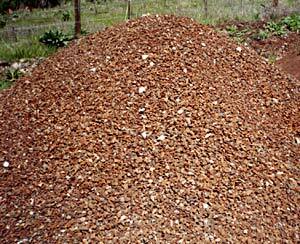 Large rocks for industrial water applications or more crushing and sifting. Crushed, sifted rock ready for bagging.